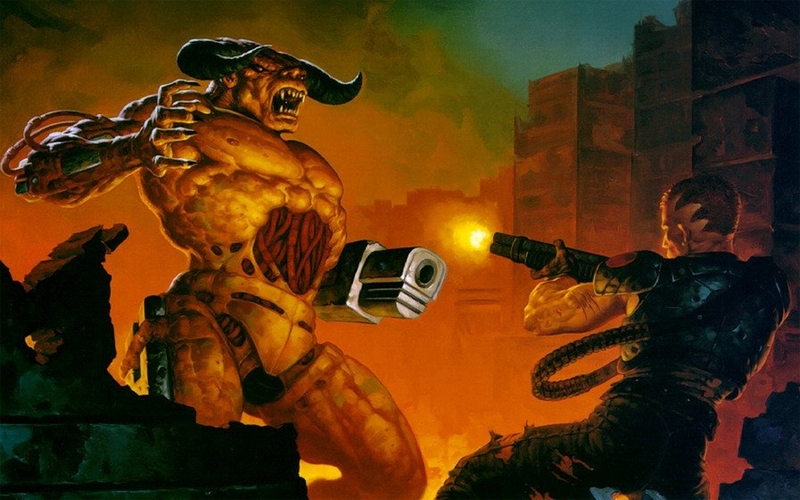 Doom II: Hell on Earth is an award winning first-person shooter video game and the second title of id Software's Doom franchise. It was originally released for MS-DOS computers in 1994 and Macintosh computers in 1995. The Macintosh version was developed in Austin, Texas by developers such as Brett Butler. Unlike Doom which was initially only available through shareware and mail order, Doom II was a commercial release sold in stores. Master Levels for Doom II, an expansion pack that includes 21 new levels, was released on December 26, 1995 by id Software. Due to its popularity and success, Doom II was later released for the Game Boy Advance in 2002, the Tapwave Zodiac in 2004, and on Xbox Live Arcade in 2010. The release of the original Doom source code has facilitated ports to many other platforms, including the Apple iPod, and several types of cellphones. On August 13, during the QuakeCon 2009 media conference, it was announced that Doom II would be ported to Xbox Live Arcade, and was released in May the following year. Robert Prince, also known as Bobby Prince, is a retired composer and sound designer. He has worked as an independent contractor for several gaming companies, most notably id Software and Apogee/3D Realms. He has created music and sound effects for Commander Keen 4-6, Cosmo's Cosmic Adventure, Catacomb 3-D, Wolfenstein 3D, Spear of Destiny, Blake Stone, Rise of the Triad, Doom, Doom II, Duke Nukem II, Duke Nukem 3D, Abuse, Demonstar, as well as other games. He has also composed music for commercials and independent films. In 2006, he was given a Lifetime Achievement Award by his fellow game composers. He currently composes the soundtrack and sound effects for Wrack, an upcoming indie FPS game. Robert Prince is a lawyer who passed the bar in 1980. He was a 1LT platoon leader in Vietnam 1969-70.